European Commission head Jean-Claude Juncker has criticized Ankara's reaction to a satirical clip about President Recep Tayyip Erdogan broadcast on German TV. Summoning the ambassador over the matter alienates Turkey from the EU, Juncker said. The EU chief "does not approve of [Ankara's] decision to summon Germany's envoy just over a satirical song. He believes this moves Turkey away from the EU rather than brings it closer to us," Commission spokeswoman Mina Andreeva told a news briefing on Wednesday. She proceeded with quoting the Commission chief as saying that Turkey's reaction "doesn't seem to be in line with upholding the freedom of the press and freedom of expression, which are values the EU cherishes a lot." The satirical piece about the "big boss from Bosporus" titled "Erdowie, Erdowo, Erdogan" (or "Erdo-how, Erdo-where, Erdogan," according to the authors' English version) was broadcast on Germany’s NDR TV channel earlier in March. Shortly after that, ambassador Martin Erdmann was summoned by the Turkish Foreign Ministry to provide an explanation. Turkey also reportedly pressured Berlin into removing the clip. Germany will not back down on the rights of its press following the Turkish reaction to the satirizing of Erdogan, Foreign Ministry spokeswoman Sawsan Chebli said on Wednesday. "Germany's position on freedom of the press and expression isn't negotiable," she commented. Political satire is protected by the freedom of the press, she added, saying that "for us it has been important to clearly express our position." Chebli added that German Ambassador Martin Erdmann also attended the start of the trial last week of two Turkish opposition journalists "to send a signal" about press freedom to Ankara. 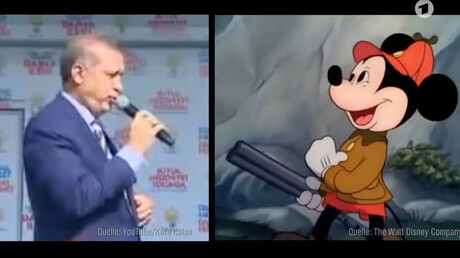 The Turkish president's lack of humor has apparently boosted the clip’s popularity and gained it even more international attention. 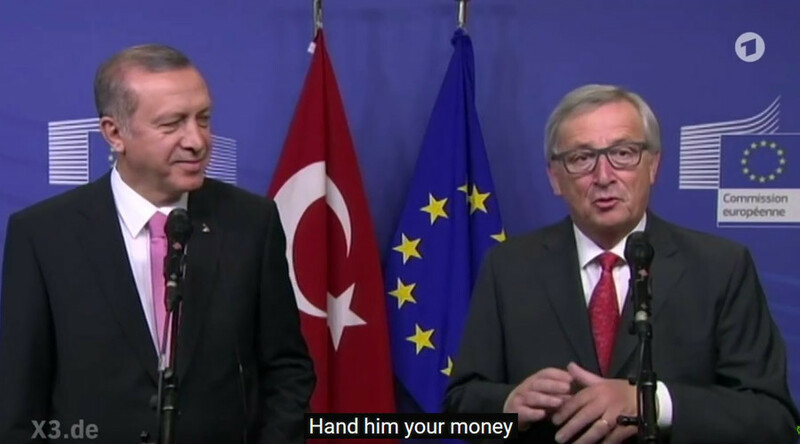 The creators have added English and Turkish translations of the German song mocking Erdogan's "grand" lifestyle, the crackdown on press freedoms and other human rights in the country, as well as the Turkish leader's aspirations for EU membership.